Xiaomi has been Launching Smartphones which are really value for money, like Redmi Note 5 Pro excellent value for Money Product. They have sold more than 5 Million Units of Note 5 Series, So huge Success for Xiaomi here, this shows that their devices are really Trustworthy. So lets talk about the main and their Latest device Xiaomi Redmi 6 Pro, So for this Smartphone Xiaomi Highlighted its Dual camera and two-day battery. Talking about its Appearence, Redmi 6 Pro has a Notch! it will be having Metallic look to its Body with 4 Color options- Black, Red, Gold and Blue. 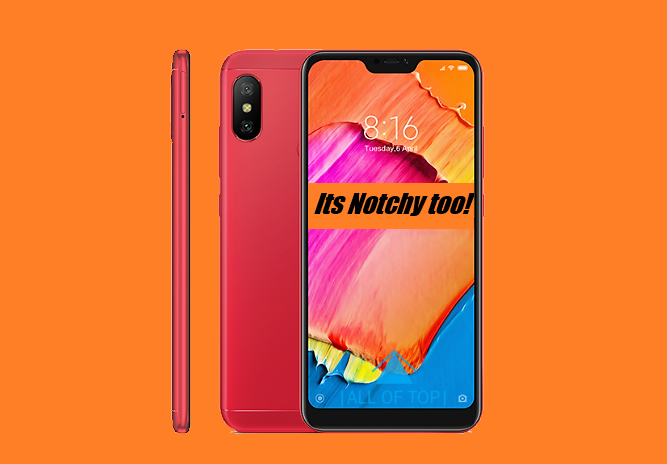 This Smartphone has a Sharp view 14.8cm (5.84) FHD+ Full Screen Display with 19:9 aspect ratio, Redmi 6 Pro also has an Option to hide its notch, it basically turns the Notch Surroundings Black, to make it look like #NoNotchAbove, this will not let you get annoyed with the Notch. Talking about the Camera, It sports a 12MP + 5 MP AI dual camera with Large 1.25μm pixels, as the Value for the price is Increasing Nowadays, this Camera is Kinda flagship-level. It also has AI Support which makes the background of the scene blurring more accurately. The front camera Clicks Decent Selfies with 5MP Sensor, it has features like HDR mode, AI portrait mode and AI beautify. Xiaomi also Decreased the camera bump in this device. Talking about what powers it, The Qualcomm Snapdragon 625 Octa-core processor with 14nm technology, For Graphics it has Adreno 506 GPU, SD 625 in quite Power efficient and good performer, So it can be said that Redmi 6 Pro can handle heavy large games, Tasks and other Applications. This Phone has a Huge 4000mAh battery combined Power efficient SoC , So it delivers long lasting performance. Also The MIUI is getting better for battery life by optimizing, which helps in saving even more power. Xiaomi highlighted 34 Hrs of Calling, 16.5 Hrs of Video Playback, 12 Hrs of Navigation and 7.5 Hrs of Gaming. Impressive! As we are living in 2018 we have a Face Unlock Trend, So Xiaomi also has that in this device The AI face technology which uses face sensing and bio-sensing technology, to unlock the device more Faster. Redmi 6 Pro has storage Combinations as 3 GB + 32 GB or 4 GB + 64 GB, also it Supports expandable storage up to 256GB (VFAT format) MicroSD card and it is a Dual Sim device, Nano-SIM + Nano-SIM + expandable MicroSD card Tray. This device also has an Infrared Port which let you control devices like Televisions, Air Conditioners. Etc. Operating System Miui 9.6 Based on Android 8.1 (Oreo). Colors Available: Black, Red, Gold and Blue. Priced at 10,999 INR (For 3GB+32GB) and 12,999 INR For (4GB+ 64GB) & will be Sold by Amazon First Sale on 11th September, 12PM.